Designer Frames and all the Brands you are looking for! Looking for an Optometrist in Downtown Edmonton? We take the time to get to know your eye care history and health. Our holistic approach to eye care ensures that you get the best possible care, advice and options for your vision needs. With years of outstanding service in the Edmonton community, our optometrist, Dr. Barry C. Nolt has a reputation for excellence. 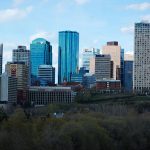 From our eye clinic in Edmonton we provide optometry and eye exam services to downtown Edmonton, Redwater, and Hinton. Better vision has a direct impact on your quality of life. Only you can ensure that your eyes are in good health by taking time for regular vision check-ups with an eye doctor. Our state of the art equipment and comprehensive eye exams in Edmonton are among the best you will find, designed to go far beyond simple prescription writing (although we do write and fill eyeglass prescriptions!). Early detection and treatment of eye disease are critical for long term vision health. Same Day Service on Single Vision glasses. 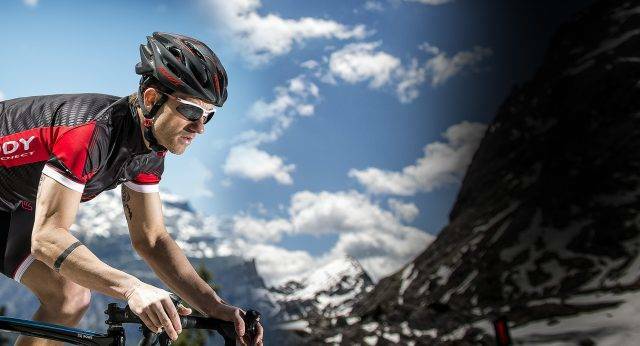 The highest quality in sports eyewear for comfort and technology. Ask us about this new line today! We offer a wide range of contact lenses to fit your needs including contact lens exams and fittings. Come in for an exam and get fitted today! The nurse performed a “sight test”, when you come to see your Optometrist we perform an “Eye Exam”. A “sight test” only measures if you can see 20/20. An “Eye Exam” measures all aspects of visual function: sight (or visual acuity), binocular vision function (ability of the eyes to work together), visual pathway integrity, and the overall health of your eyes. Seeing 20/20 is an important part of the overall function of your eyes; however, just because you can see 20/20 does not necessarily mean your eyes are 100% healthy. There are many conditions that exist in which someone can still see 20/20. To name just a few examples: Diabetic Retinopathy, Glaucoma, and even Retinal tears or detachments (if the macula is unaffected). I recommend having a full eye exam every 1-2 years, even if you are in good health and feel like you don’t need glasses.